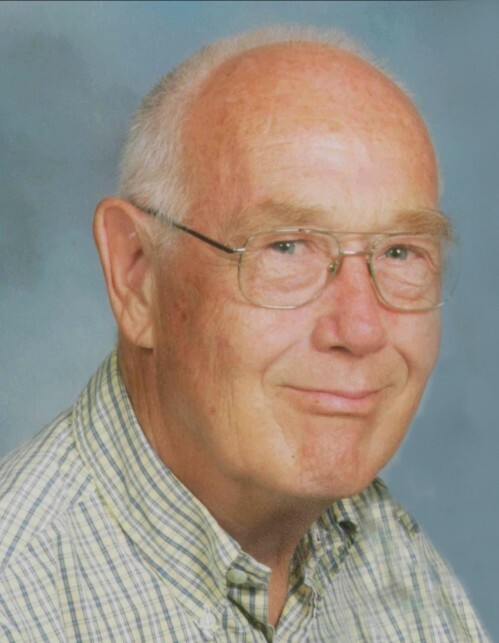 JERSEYVILLE - Harold Theodore "Ted" Groppel, 80, died at 10:25 p.m., Friday, March 15, 2019 at Jerseyville Manor Nursing Home. He was born in Grafton, Illinois on November 12, 1938, one of four children born to Raymond C. and Jewell (McAdams) Groppel. He was a 1956 graduate of Jersey Community High School, and for many years worked as a mold maker at Owens-Illinois Glass Manufacturing in Alton until the plant closure. He later gained employment with Jersey Community Unit School District #100, serving as a custodian at Illini Junior High School. A devoted family man, he was a member of the Holy Ghost Catholic Church in Jerseyville, and was an avid rabbit hunter. He married the former Wanda Godar on April 8, 1961 at the St. Mary's Catholic Church in Fieldon, and together they would have soon celebrated their 58th wedding anniversary. Surviving are his wife, Wanda Groppel of Jerseyville; a daughter, La Tricia "Trish" Groppel of Jerseyville; a son and daughter in-law, Jeffery and Georgia Groppel of Jerseyville; three grandchildren, Brittany, and her husband, Benjamin Mayfield of St. Louis, Mo., Nathan Groppel, a student at Southern Illinois University-Carbondale, and Elizabeth "Ellie" Groppel of Jerseyville; a great granddaughter, Karlee Elizabeth Yates; a brother and sister in-law, Dr. Stanley and Dr. Carol Groppel of Clarksville, Tn. ; a sister and brother in-law, Judy and Rev. John Hartleroad of Brentwood, Tn. ; a brother in-law, Ralph Cates of Alton; and three brothers in-laws and sister in-laws, Theresa and Richard Killion of Jerseyville, Dwain and Roberta Godar of Eldred, and Sylvia and David Chandler of Jerseyville. In addition to his parents, he was preceded in death by his sister, Agnes Cates; and his father in-law and mother in-law, Alfred and Viola Godar. Visitation will be from 5 to 8 p.m. Monday at the Crawford Funeral Home in Jerseyville, with a Vigil Service beginning at 4:30 p.m.
A Mass of Christian Burial will take place at 10 a.m. Tuesday at the Holy Ghost Catholic Church in Jerseyville, with Father Stephen Pohlman officiating. Burial will be in the St. Mary's Catholic Cemetery in Fieldon.